PK+QP resting on its left wing tip after landing. This is possibly the best picture of the aircraft. It is the only that clearly shows 'V45', strangely with what appears as a subscript '1'. 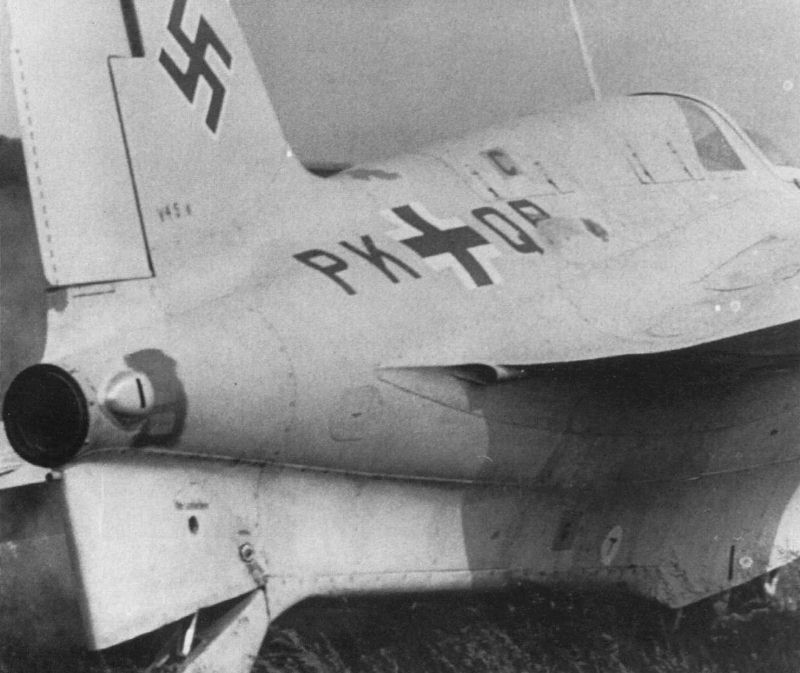 Paint touch-ups are seen on the spine, over the Stammkennzeichen, below the rudder and in front of the new type of air scoop on the rear fuselage. The small exhaust under the wing root appear to be unique to this aircraft, and their function is unknown. The rear fuselage looks a little different than other Komets: it flares a little at the extreme end, and it appears to be a little longer. Another peculiarity is the lacking 'T' stencilling near the antenna. The aircraft appears to lack this during its whole career.